(Ontario only) I love sense memories! Just looking at that picture, I can smell the wonderful scent of banana bread, warm from the oven, with melting butter on top! 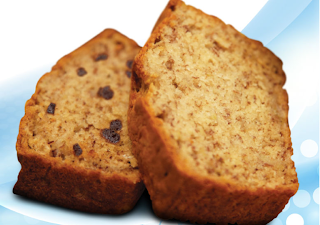 From January 16-22, bring in this printable coupon to your local Macs store, and enjoy a Mega Snack slice of Banana Bread for FREE! Grab any size Seattle's Best coffee for $1.00 to go along with your free banana bread! You do have to be a Macs VIP member, but it's free to sign up!